Join us for a conversation on African American leaders featured in Breaking Barriers, Aetna’s 2017 publication celebrating 35 years of African American leadership in our country. 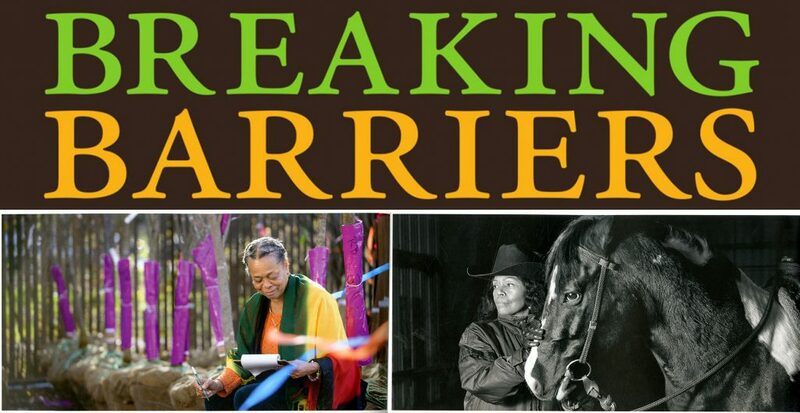 Breaking Barriers features local community change makers Charmaine Craig, a.k.a. Hartford’s Tree Lady, and Patricia Kelly, founder and CEO of the Ebony Horsewomen. Both Hartford women will be joining the Library in conversation about the challenges they faced in making change. The discussion will be moderated by Floyd W. Green, Vice President and head of Community Activation and Local Marketing, Aetna. Audience participation is invited. Select images from Breaking Barriers, Celebrating 35 Years of The Aetna African American History Calendar will be on display through Black History Month.